The main reason for a bridge is crossing a hard-to-manage gap, such as a river, a sea or a valley. In most cases, ways should be shortened, eased or simply made possible. The natural difficulties vary each time and need a different type or variant of bridge. The longest bridge with 36 km is the Hangzhou Wan Daqiao, which spans Hangzhou Bay on China’s east coast. The highest bridge is also located in China, the Beipanjiang Bridge in Guizhou, with a height of 565 m.
The chasms that are bridged in business are in no way inferior to the physical bridges. These business challenges are transitions from old to new, involving many employees and internal regulations. The bridge is an obvious metaphor for such transitions. The following conditions support the safe crossing of the threatening abysses. Clarity arises from the description of the specific requirements and, above all, the expectations of the deciding stakeholders. The easiest thing is to determine the physical data, such as length, width, height, or the load-bearing capacity – although sometimes the decisiveness is missing. Most important, however, are the decision makers’ hopes, which are difficult to grasp. These include the ideas of what should be done, what should be the outcome and what consequences they foresee. It is essential to know the requirements, since they ultimately set the bar for the accomplished transition. A bridge is determined by the start and the end point. The description of the circumstances will cover the whole area, but not always with the required details. This applies to transitions of all kinds. The initial situation describes the foundation, on which one side is based for the crossing. In the business environment, this is the old world with its problems – the hierarchical structure, the legacy IT, or outdated procedures. The destination describes the fixed base on the other side. In business this is the state with its intended advantages – agile forms of working, modern IT, end-to-end business operations. The abyss to pass determines which bridge type is used – suspension bridge, cable-stayed bridge, arch bridge, plate bridge, etc. The bridge type is selected, depending on the requirements. Sometimes a cable car is sufficient for the crossing. However, if a large number of people and heavy vehicles have to pass the crossover, then a stable construction is required that brings everyone for a foreseeable future safely to the other side. The same applies to changes in companies when the staff has to adapt to the new business requirements. This cuts all employees to the quick, because they have to rethink and to act in a new way. The change from one side to the other is dangerous and risky. It only succeeds, if it is decisively pursued. It is not enough to wish for a bridge. You have to take the necessary steps. This requires sufficient financial and time resources as well as adequate staff. Such projects are reliable for a long time, if the implementation is not spared at the expense of quality and if the necessary accuracy is omitted. The failure of the project has serious consequences for the involved parties – at the first crossing or later, for example when the life is shortened drastically due to inferior material. Nothing lasts forever. For this reason, measures must be installed from the outset, which come from the requirements – the expected load and the planned lifespan. Bridges have expansion joints, stretchable asphalt or vibration damping mechanisms. Regular transition monitoring is an additional measure to identify and counteract difficulties at an early stage. In business, this requires ongoing status checks of the transformation activities. Bottom line: The transition from one side to the other of a chasm needs clear requirements, the documented topography, stable recipes, a decisive implementation and the appropriate maintenance. Ever new abysses require ever larger and higher bridges. However, you hear again and again of bridges that reach the end of their lifecycle prematurely, because the planned utilization exceeds by far the original estimates. In the transition from old to new, the decision makers have to face a similar situation. Above all, the upcoming digitization will take many companies to their limits. The bridge provides the ideal metaphor for these transitions from old to new. Dieser Beitrag wurde am April 14, 2018 von memecon in Communication, English veröffentlicht. 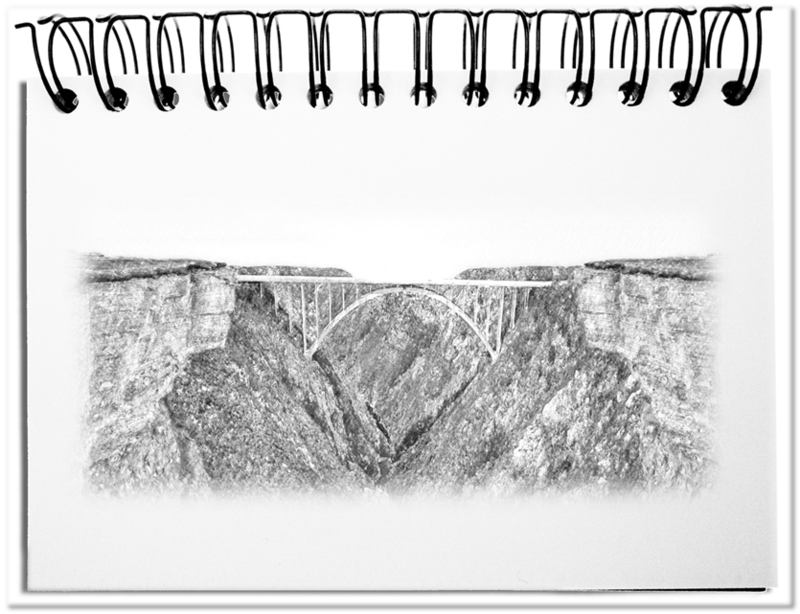 Schlagworte: Bridge, Implementation, Maintenance, Metaphor, Recipes, Requirements, Topography.